In the world of plastic injection-molded parts, indentations, through-holes, and other features that are not formed in the direction of the mold opening and closing could act as undercuts in a two-part mold. Designers using rapid injection molding can address these challenges in a variety of ways, including side-action cams, sliding shutoffs, pickouts, and bumpoffs. In this issue of Designing for Moldability, from Protomold, we discuss these techniques. Download the Designing for Moldability white paper from Protomold. Cover Image: LUXEON Z is Philips Lumileds' smallest LED package. An innovative electromagnetic simulation tool is speeding the commercialization of a breakthrough direct-drive technology for electric vehicles by U.K.-based Magnomatics. Called the Pseudo Direct Drive, this new form of traction motor offers such an exceptional torque density that it can even be packaged within a vehicle's wheel. U.S. factories produce about 75% of what the country consumes, but the right decisions by both business and political leaders could push that to 95%, say University of Michigan researchers. New start/stop technologies in cars are a hit with frugal and eco-conscious drivers. Thanks to Trelleborg’s experience with antivibration technology in dual-clutch transmissions, the company is helping to keep low-energy motoring smooth. 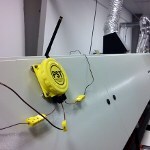 Predictive Sensor Technology’s Wireless Type K Thermocouple Transmitter (PST-TCK) alerts the user via text or email when pre-set temperature targets or limits are reached. This super-smart wireless monitoring system helps facility managers to “know before it goes.” It also monitors and saves the condition history of the process to verify quality or enable adherence to manufacturing requirements or standards. Temperature monitoring is especially valuable in evaluating conditions of motors, pumps, bearings, and gearboxes. A team of researchers from Harvard University has invented a way to keep any metal surface free of ice and frost. 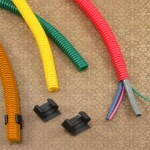 Micro Plastics has added color to their polyethylene and nylon lines of wire-routing split loom. All six of the standard sizes (1/4, 3/8, 1/2, 5/8, 3/4, and 1 in.) are available in orange, which is especially great for safety. Red, yellow, and green are other options. Organizing cables and managing cords into color-coded bundles never looked so good. 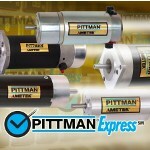 Pittman Motors, a division of AMETEK Precision Motion Control, has introduced PittmanExpress, an online system offering customers the ability to order from a standard list of brush DC, brushless DC, and gearmotors available for 24-hr shipment. The online ordering system allows an engineer to quickly obtain off-the-shelf DC motor products for concept testing while evaluating the needs for an application-specific customized motor solution. New Terraloy 70000 Series polylactic acid (PLA) alloys from Teknor Apex enable manufacturers of electronic housings and other components to incorporate substantial amounts of bio-based content in their products without sacrificing the essential mechanical and thermal properties provided by engineering thermoplastics (ETPs). These compounds provide similar or greater strength, stiffness, and heat distortion temperature in comparison with standard polycarbonate (PC), ABS, and PC/ABS blends. BAE Systems recently announced that the Advanced Precision Kill Weapon System (APKWS) scored its first-ever penetrating guided-rocket shots with the M282 warhead during recent tests at Eglin Air Force Base in Florida. 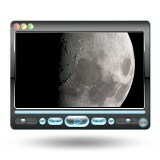 If you are craving a little exotic summer vacation time but just can’t seem to peel yourself away from your desk, why not take a quick video tour of the moon courtesy of NASA's Lunar Reconnaissance Orbiter? See what really is on the dark side and a bunch of other neat features. The University of Iowa’s Virtual Soldier program, featuring a changeable avatar named Santos, uses computer simulations to design future combat systems for the war fighter.